Founded in 2013, Tony & Christine Lombardi began a passion project that honors a rich family history of wine, food and tradition. Together, with Winemaker Cabell Coursey, they craft Small lots of Chardonnay and Pinot Noir from some of the finest vineyards in the Sonoma Coast. The Pinot Noir is crafted with care from a family of growers in Petaluma, where the Lombardi Family has been since 1947. This Petaluma Gap Pinot Noir reveals dark aromas of blackberry, black cherry and ripe currants in the nose with a dust of cocoa. The 2017 Sonoma Coast Pinot Noir delivers dark black fruits that slowly melt into all areas of the mouth. There is focused acidity and fine dry tannins that carry the rich blackberry, anise, cedar, black licorice and mocha flavors toward the mid-palate, leading toa lingering juicy finish of black cherry and dried currants. The 2017 Chardonnay shows beautiful aromas of layered green apple, lemon-lime citrus, orange blossom, honeysuckle and sweet vanilla. This 2017 Sonoma Coast Chardonnay offers layers of tight, vibrant peach, pear, and tangerine flavors on the palate, followed by a subtle crème brûlée texture. The finish gradually turns crisp with a final wash of mouthwatering natural acidity. How does the Lombardi Wines allocation work? We create a personal allocation for our mailing list members twice a year, for four-week periods, Sonoma Coast appellation wines in the spring and single vineyard wines in the fall. How long does it take to get an allocation? Due to Mother Nature’s variance from vintage to vintage, we are unable to provide a specific time frame for our waitlist. Our goal with every release is to share our wines with as many new members as possible, while meeting the requests of current members. Our wines are produced in varying and limited quantities so not all of our wines can be offered to everyone. We strive to give as many people as possible access to the wines they would like. If a member chooses to forego participation in a release, that member's guaranteed allocation is then reallocated to those who are waiting. Moving forward, a wish opportunity will be provided for the following offering, ensuring we are able to share as many wines with our members as possible. As a member, if you are offered an allocation, it is guaranteed for the entire release. We do this so that you do not feel the pressure associated with a "first come" allocation offering. How can I get an increased allocation? Over time, members who consistently order wines are given access to larger quantities of those selections. If you’d like more than your initial allocation, you may place a ‘wish request’ for additional wine. We will do our best to grant some or all of your wishes, which then results in an increased allocation of that wine in subsequent offerings, pending vintage size variation. What happens with a ‘Wish Request’? If you choose to wish for more wine than your initial allocation, we will do our best to reserve additional bottles for you. After the release period ends, we reallocate any wine that was not purchased during the offering. If we are able to grant some or all of your wish, we will notify you via email and any incremental tax and shipping costs will be applied to your original order with the default method of payment on file. 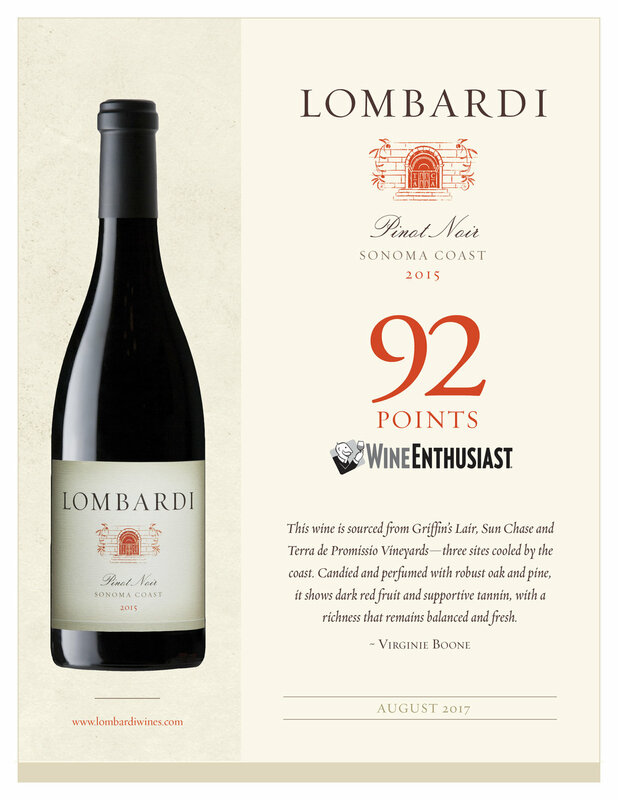 When you give Lombardi Wines your credit or debit card details you are confirming that you are the card holder or have permission from the card holder to use the card on this website. For your own safety we reserve the right to contact your card issuer for the purposes of carrying out security checks. You agree not to do the following while using the Lombardi Wines website: a) Intentionally or unintentionally violate any applicable law or regulation or b) access, tamper with, or use nonpublic areas of the Lombardi Wines site or computer systems. 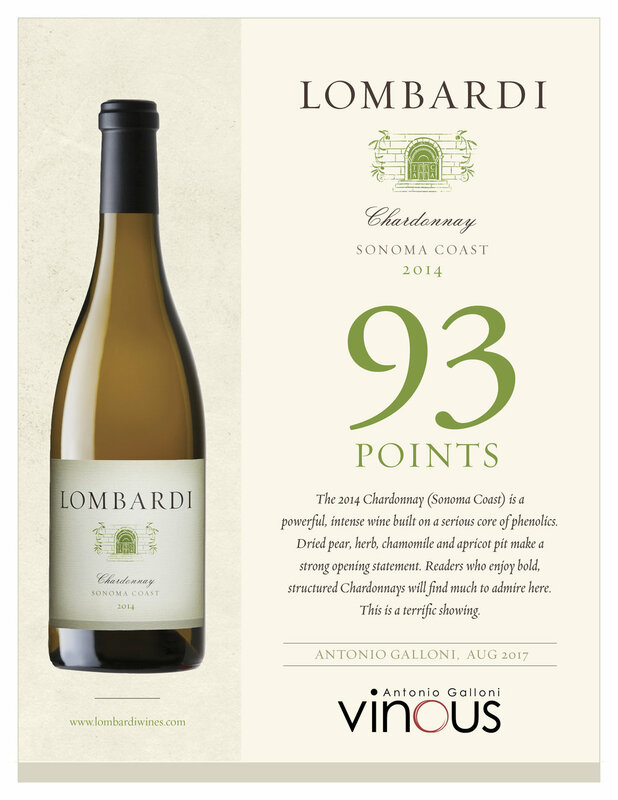 Lombardi Wines will give you any necessary notices by posting them on the Lombardi Wines site or by sending them to you by electronic mail. Lombardi Wines reserves the right to update these terms and conditions, with no notice to you, at any time. 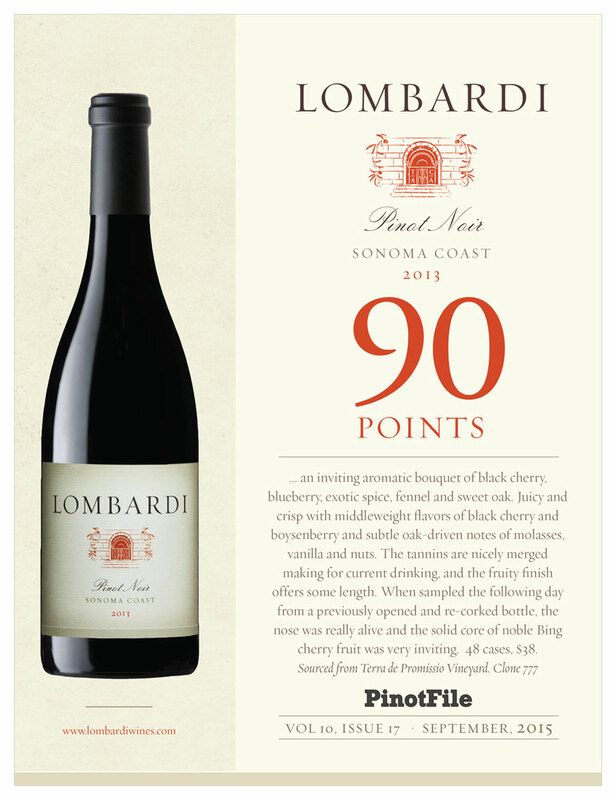 By placing an order with Lombardi Wines you are certifying that you are 21 years of age or older. An adult over the age of 21 must be present to sign for delivery and must be prepared to confirm their age with appropriate identification. Wine orders are fulfilled by Oeno Vaults in Santa Rosa, California and are shipped on the date requested by the customer when placing the order. Date of receipt will vary based on the chosen transit method. As an example: an order placed with a requested shipment date falling on a Monday and a chosen transit method of Three-Day Air will have an anticipated delivery date on Thursday of that same week, barring transportation issues on the part of the Shipping Company (UPS) due to natural disaster or other unforeseen circumstances. A tracking number will be uploaded in each customer's online account and notification of the posting will be sent by email to the customer at the time of shipment in order that they can make arrangements to receive the shipment and provide adult signature. Delivery will be attempted three times, after which time the order will be returned to Oeno Vaults shipping and the customer will be contacted by the winery to discuss re-shipment of the order. Lombardi Wines is not responsible for additional shipping costs incurred when a customer is unavailable for any of the three attempts the shipping company makes in delivery of the order. Shipping is prohibited to the following states: New Hampshire, South Dakota, Utah. Questions about this policy, or individual orders should be directed to Lombardi Wines at (707)-280-5917 or tony@lombardiwines.com. Lombardi Wines is committed to the production of high-quality handcrafted wines and your satisfaction is our goal. Please inspect all packages as soon as they are received. Should any bottle(s) be broken during shipping, please email us immediately at tony@lombardiwines.com or (707)-280-5917 within 48 hours of receipt of your package(s), so that we can pursue a claim with the shipping company. At Lombardi Wines we are committed to protecting your privacy. All order information is encrypted in order to ensure maximum security. To prevent unauthorized access or disclosure, maintain data accuracy and ensure the appropriate use of information, Lombardi Wines has in place appropriate physical and managerial procedures to safeguard the information we collect. Lombardi Wines will not sell, rent or lease your personally identifiable information to third parties. Lombardi Wines promises not to sell, give, lend or otherwise distribute your personal information to any other company or association that is not part of the processing or shipping of your wine order. 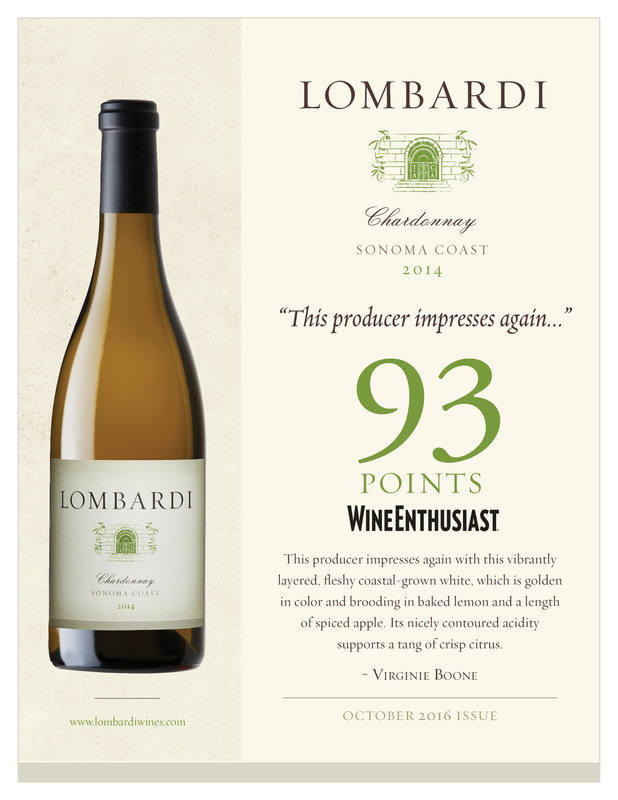 From time to time, Lombardi Wines will contact our registered users who have opted in to be e-mailed with information about releases, events, and relevant updates that we feel would be desired by that user. 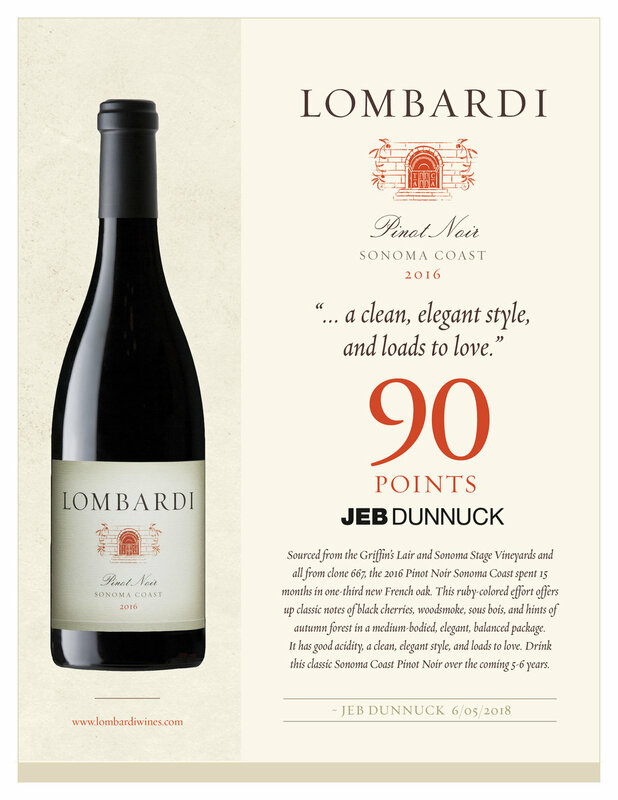 At any time a user wishes to opt-out of these e-mails, they may do so by contacting tony@lombardiwines.com. Once opted-out, the user will not receive any further communication from us, aside from any system messages that are necessary to that user in specific transactions, such as e-commerce order summaries.